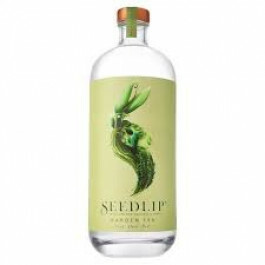 Seedlip Garden 108 non alcoholic spirit made from six carefully selected botanicals and spices. Seedlip Garden 108 is the second bottling from Seedlip is a celebration of summer – a non-alcoholic spirit that bursts with clean, fresh herbal flavours. Great served long with bitter lemon or soda water over ice. Seedlip Garden 108 non alcoholic spirit made from six carefully selected botanicals and spices, sourced from around the world and distilled in copper pot stills. These distillates are then blended together to create a complex multidimensional taste profile that can compete with any alcoholic spirit.